Oregon natives confirmed to Infowars Friday that strange anomalies have sprung up along the Pacific coast in what amounts to further testimony supporting the fact the media is suppressing both the surge in extremely high radiation readings along the West Coast and the subsequent die off of sea life in the area. 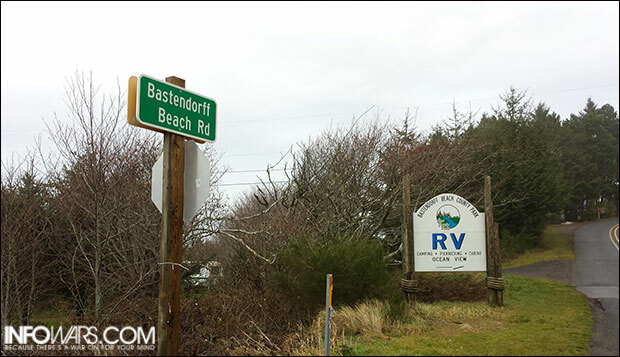 Residents of Charleston, Ore. report new die-offs around the Bastendorff Beach area. Several residents in the Charleston fishing village described suspicious anomalies such as disintegrating bioluminescent jellyfish and Japanese “tsunami debris” washing ashore, with one lifetime resident even telling us he saw about a hundred dead starfish near the Bastendorff Beach County Park. “It’s widespread, it’s very virulent and it’s unlike anything we’ve seen in the past,” marine ecologist Pete Raimondi said to USA Today about the massive starfish die-off. Previously, Oregon was thought to be, for the most part, isolated from the illness. It had only been encountered “in a tide pool at Tokatee Klootchman State Natural Site, south of Yachats,” according to Rob Davis of The Oregonian. However, a life long resident of Charleston, who did not want to appear on camera but told us he walked the beach there each day, said he had encountered the phenomenon just south of Bastendorff Beach County Park, suggesting the epidemic is far more widespread than previously speculated. A representative at the Oregon Institute of Marine Biology in Charleston, who also did not want to appear on camera, also said he was aware of the sea star issue. The highest reading we encountered during our time in Charleston was about 74 CPM off the shore of a marina. One albacore tuna in Charleston tested at 38 CPM, and another at 36 CPM, relatively low levels compared to the readings at Surfer’s Beach — levels that reveal the relative severity of radiation hot spots around the West Coast. 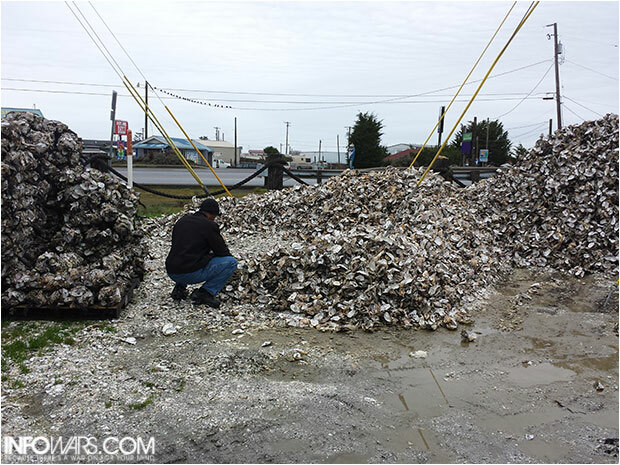 Infowars.com reporter Jakari Jackson tests oyster shells for radiation. News that the inexplicable die off has reached the Oregon coastline follows reports of bizarre activity in the Pacific Ocean. 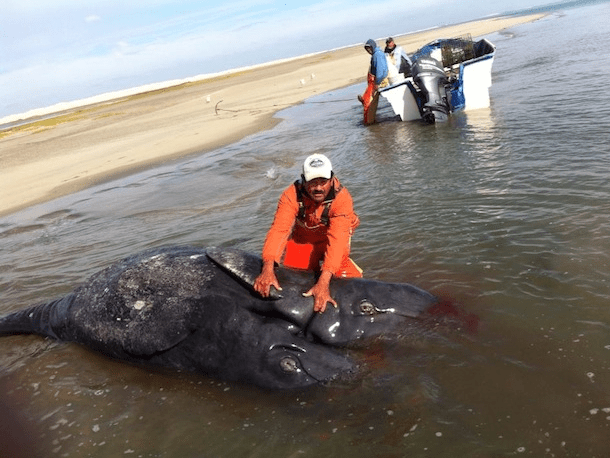 Last week, scientists in Northern Mexico’s Laguna Ojo de Liebre discovered “what appears to be the first ever documented case of conjoined gray whale calves,” reported StoryLeak’s Mikael Thalen. “While conjoined twins have been found in several other whale species, a search of the database at the Natural History Museum of Los Angeles County by local scientists produced no records of conjoined gray whales,” Thalen reported. Additionally, a study published in the journal Proceedings of the National Academy of Sciencesfound 98 percent of the ocean floor is littered with dead sea life, a metric that has increased 97 percent in the last two years alone. “In the 24 years of this study, the past two years have been the biggest amounts of this detritus by far,” Monterey Bay Aquarium Research Institute marine biologistChristine Huffard told National Geographic last November. Scientists and governments are reluctant to blame the anomalies on radioactive particles leaked into the ocean from the 2011Fukushima-Daiichi nuclear disaster, however, that this could possibly bethe cause has not yet been completely ruled out. The fact that the federal government recently procured 14 million doses of potassium iodide, a compound meant to protect the thyroid gland in the event of a nuclear disaster, in addition to the fact they would not address the purchase during a phone call, has only stoked concerns that radiation is impacting the West Coast and contributing to the mass die off. Witnesses we’ve spoken to from as far away as Alaska have mentioned witnessing Japanese tsunami debris wash ashore with visible Japanese writing, however our measurements indicate the radioactivity is concentrated along the West Coast of California. For instance, readings taken at beaches in Bean Hollow State Park and Salinas River State Beach read 100 CPM or higher, compared to readings taken on the Charleston, Oregon, beach which only gave maximum readings of 54 CPM. We will continue to investigate radioactivity along California’s West Coast. Stay tuned for more. I can’t like this. I really hope this is wrong. How inexpressibly sad this would be. I’m sorry but its true! Does anyone still believe there was no radiation affect here???? ?